I’m pretty for a black girl!? Are all black girls generally unattractive? Am I only pretty because I am a black girl? If my skin were another tone would I be unpretty? Am I getting away with my black features? Am I not a pretty girl? Must I be referred to as a black girl? 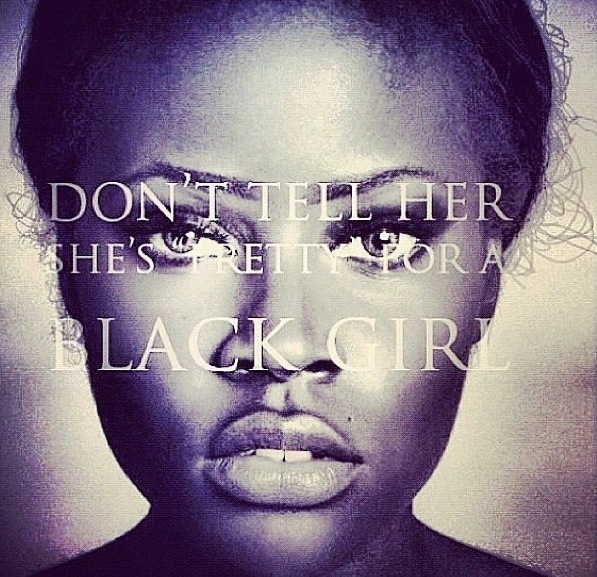 Can pretty for a black girl be considered as a compliment? Am I just pretty for a black girl? Is that how my beauty should be defined? I’m pretty for a black girl.